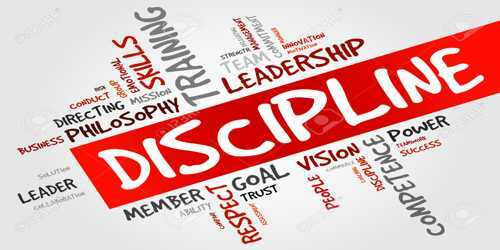 Discipline is considered as a force that promotes individuals or groups to observe organizational rules and regulations at work. A disciplinary action may follow a disciplinary hearing after a conclusion has been reached about any allegations concerning an employee’s conduct or performance. A disciplinary procedure is a process for dealing with perceived employee misconduct. If they are not performing based on the general guidelines provided by the company, disputes may occur in the work environment. In such a situation organization needs to suffer. Therefore, the organization develops a systematic procedure that helps to initiate disciplinary action against accused employees. Organizations will typically have a wide range of disciplinary procedures to invoke depending on the severity of the transgression. The first step in resolving disciplinary problem is to prepare an accurate statement of such problem. It means, under this step, a brief statement is prepared to show the location of responsibility, the definition of performance, expectations, reasoning for immediate supervision etc.The details to be included in this statement are rules, regulations, policies, and standards and find out the vault and violations to know when and how often the violation occurred. After defining an accurate statement of the disciplinary problem, the next phase of collecting required facts and information occurs. Before collecting necessary data and information the predefined rules and regulations, policies, procedures etc. are communicated to the employees. Then after, the required data and facts relating to performance standards are collected for the purpose of initiating disciplinary actions. Under this step, the tentative penalties are selected based on the nature of the disciplinary problem. It means, the kind of penalty that an accused individual is supposed to get depends on the nature and type of disciplinary problem committed by him/her. Once the tentative penalties are selected, the management or disciplinary action committee awards punishment to the accused employee. This usually follows the procedure of progressive discipline that proceeds from an oral warning to a written warning to suspension to dismissal. This is the last step in the procedure of disciplinary action. When the disciplinary action is initiated, it is necessary to keep see in order to verify whether the punishment has any influence on the accused employee’s behavior. If not, other corrective measure needs to be followed to improve the accused employee’s behavior.